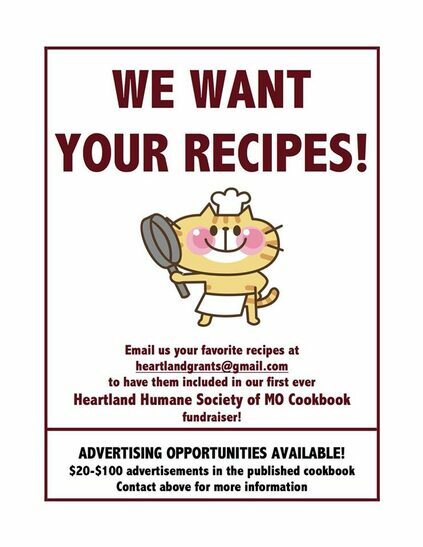 We are doing our first ever cookbook fundraiser for Heartland Humane Society and we need your help! We need at least 100 different recipes in order to go to print and make this a successful event for our rescue! Whether your recipe is simple and involves just a few ingredients, or is of the gourmet variety, we welcome them all! 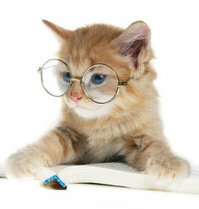 We would also love to have some of your favorite homemade treat recipes for your furry, feather or scaled loved ones! Also, we are selling advertising ad space ranging from 1/8 page to a full page. 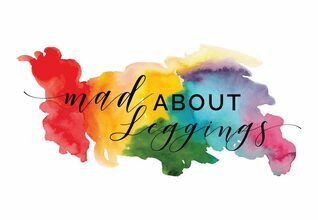 The prices are very reasonable, plus it’s a great way to network your business and gain more followers within the community! 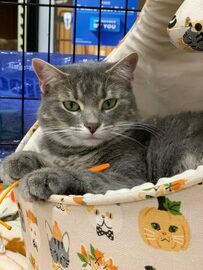 We are looking for a few cat-loving individuals who can help care for our adoptable kitties at the Wentzville Petsmart. 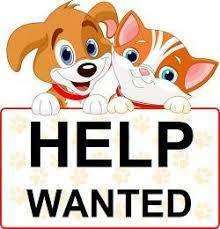 Available shifts include Tuesday mornings, Wednesday mornings and Friday mornings. Please contact us or fill out a volunteer application here if you are interested (must be at least 18 yrs of age or have a guardian present). Heartland Humane Society of Missouri is a 501(c)3 non-profit group of dedicated foster homes that gives abandoned, abused, and unwanted animals another chance for loving, permanent homes through our adoption program, following the no-kill philosophy. We reduce pet overpopulation in our community through collaboration with veterinarians, animal welfare organizations, and supportive individuals by providing humane education and reinforcing the importance of spaying and neutering pets. 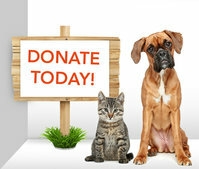 Heartland Humane Society of Missouri is funded solely by adoption fees, donations, fundraising events, grants and tributes. Includes: Spay/neuter, microchip, UTD on vaccinations, heartworm test and UTD on preventative, treatment for fleas/ticks/parasites, microchip & HHS tags, health record and Petsmart coupon book. Includes: Spay/neuter, microchip, UTD on vaccinations, Feline Leukemia/FIV tested, treated for fleas/parasites, microchip and HHS tags, health record and Petsmart coupon book. 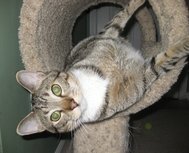 Sweetie is a darling classic gray tabby and her name fits her perfectly because she really is sweetheart! She was rescued from a rural animal shelter where she would not have had a chance at being adopted had she not been saved by her foster mom. She is a friendly gal and likes affection and petting from her humans, but prefers it on her own terms and will let you know when she's had enough attention. She likes to play with toys and snuggle on your lap when she's tired. She does very well with other cats once properly introduced, but she does seem frightened of dogs so a home without one is preferred. Older and respectful kids would be best as young children may be too much for her. Sweetie is spayed, microchipped, negative for FeLV/FIV and current on vaccinations; she's roughly 1 1/2 years old (Tag # JoLev). By adopting just one pet, you won’t change the world; but you certainly will change the world for that one pet! Save a life - adopt, don't shop! I adopted "Kendal" a little black terrier mix in Oct 2004. She made it to 15 yrs old and passed away 12/4/18. I also adopted "Nabisco" AKA Dasher who was a 16 week old grey short haired kitten early 2005. He is now 14yrs old. I adopted Cassidy the Border Collie over six years ago. She is still doing very well. We moved to South Carolina over three years ago so that is why we haven't visited you all at Petsmart. I am happy to find you are still rescuing. Good luck! We are a nonprofit 501(c)3, all-volunteer organization and rely on financial and supply donations so that we can continue to rescue, care for and rehabilitate the cats and dogs in our foster homes. 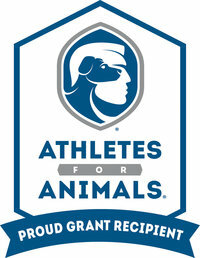 All funds donated are used for our animals. We appreciate your support and appreciate your donation - no amount is too small and every bit helps! We would like to thank the following sponsors for their continued generosity and support of our organization. Please click on their image to learn more about their companies. Help Heartland get free cat litter! Do you use Fresh Step cat litter? If so, please consider donating your "Paw Points" to Heartland so that we can receive some much-needed litter for our foster kitties.